Teachers in mainstream education in English-speaking countries increasingly have to plan lessons to help integrate students whose first language isn’t English. That’s quite a challenge and we’ve asked Nina Berler, who teaches in the US to tell us about some of the tools she uses. It wasn’t so long ago that teachers of mainstream classes were instructed to ‘teach to the middle.’ Of course, when it comes to learning vocabulary, that methodology can’t possibly benefit students on either end of the spectrum. Fortunately, in this era of digital learning, teachers have tools to boost vocabulary and reduce gaps in their classes. In my private college-prep practice, I am amazed at the numbers of students who resist breaking words apart and identifying roots that are clues to word meaning. When selecting tools for your class, look for those offering targeted practice in Latin and Greek roots. During whole-class discussions or pair-share exercises, tap the English Language Learners (ELL) whose native languages have the same roots as English. They may welcome the opportunity to share their knowledge with classmates. Check out WordUp! The Vocab Show by Compass Classroom, a video about Latin and Greek roots that the entire class can enjoy. How can you be sure that ELLs are getting the words they need? A personal favorite ‘low tech’ product is Sadlier’s Vocabulary Workshop, which I admire for its targeted word lists, well-written exercises, and leveled learning. Now, Sadlier offers Vocabulary Workshop in an interactive edition so teachers can monitor and assess individual performance. It also publishes Vocabulary for Success, which contains ‘pacing guides’ for the ELL student. 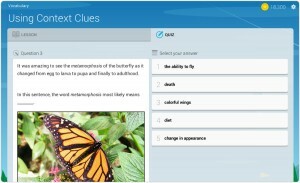 Benesse’s Straight Ace ELA product features Levels A-C (easy, medium, hard) so that students can move through vocabulary and roots, or back to where they need more work, even to prior grades. There are short, snappy lessons that students can read through easily and refer to when necessary. With English Language Learners in the classroom, teachers recognize that Tier I words cannot be taken for granted. Experts recommend asking ELL students to write down unfamiliar words and draw objects alongside the words as a reminder of their meaning. Students can also add a section for Tier I words in their reading journals, which they can review at home or during study time. Teachers can devote wall or board space to idiomatic expressions considered Tier I, so they are not lost on ELLs. When you can’t buy, why not build your own? 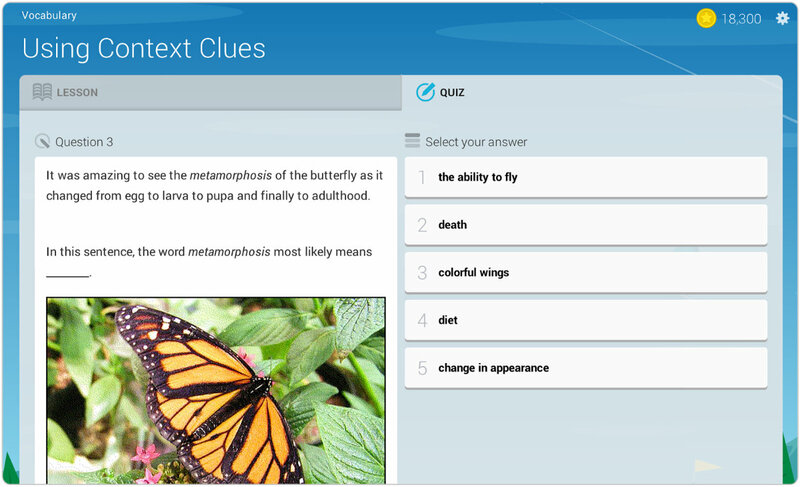 Fortunately, it’s easier than ever to build your own quizzing apps for vocabulary to keep students engaged with your word lists. http://www.myenglishteacher.eu/ offers a comprehensive list in its ‘50+ Best Online Quiz and Test Makers for Teachers.’ The list includes Learningpod along with ExamTime, Joomla!, Quizworks, and many others. Many of these vendors provide assignment capabilities. I often recommend using the quizzing as a ‘Do Now’ ice breaker or unit review. I have always been a bit leery of how much vocabulary learning ‘sticks’ relative to the time spent creating or flipping through the flashcards. When teaching language arts, I would often integrate articles from favorite publications such as the Wall Street Journal, as Newsmart does, to underscore the importance of the vocabulary and the context in which it is used (as well as the subjects we were studying in class). In the United States, we have wonderful public domain sources available through the government. Favorites include the U.S. Census Bureau and the U.S Department of Agriculture. These offer exceptional charts, graphs, and articles containing tiered words. Adds Cheryl Hooper, a researcher with the River East Transcona School Division (Winnipeg, Canada). ‘Research shows that learning can be enhanced when students work in pairs on one device.’ So mainstream teachers can pair students with varying proficiency, enhancing peer learning, or use their 1:1 time to accomplish this task. 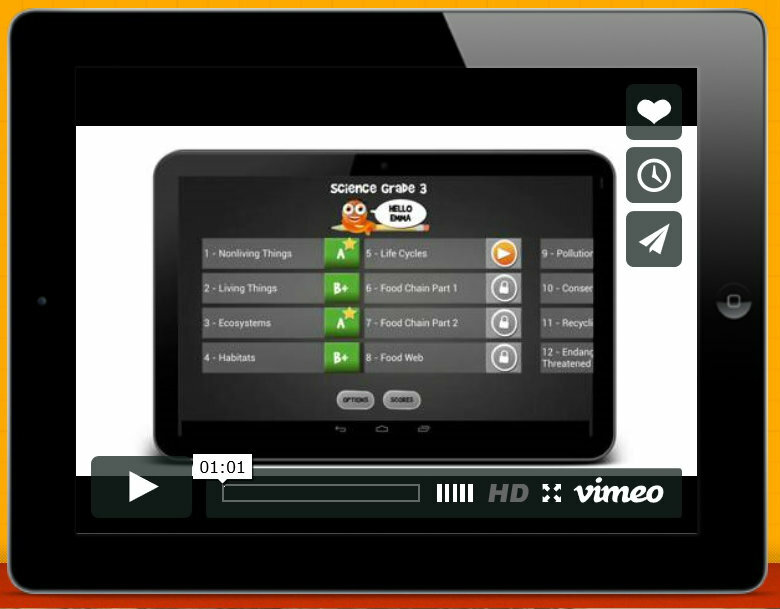 App maker eduPad has expanded its line of ELA products, all of which contain Vocabulary Booster sections, so ELLs and others can go up or down grade levels when necessary. Students enjoy mascot iTooch, while parents and teachers appreciate the high volume of practice exercises. Nina Berler is an academic content specialist for Learningpod, a New York City-based Edtech firm. Nina has managed educational projects throughout her career, created educational apps for ELA (English Language Arts) and Maths, participated in holistic essay-scoring for ETS, served as a college prep consultant to numerous students and families, and created lessons for the Wall Street Journal Classroom Edition Teachers’ Guide. Image by: flickingerbrad via Compfight cc . Text added by ELTjam.